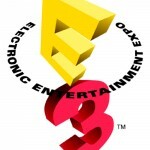 The biggest video game show of the year takes place June 9-12 in Los Angeles, but like most trade shows, E3 2014 is technically closed to the public. That’s never stopped people from trying to sneak their way into the Los Angeles Convention Center, but to be honest, that can be a real pain. These days, however, you can experience a good chunk of the annual digital confab from the comfort of your living room — or a few nearby businesses. Here’s how. While attending these live is probably out of the question, livestreaming isn’t. We’ll have a livestream page right here at Yahoo running all the press conferences one after another, but there are plenty of other options. Microsoft, not surprisingly, is using its own platform to fill people in. Xbox One and Xbox 360 owners will be able to view the company’s press conference right from their consoles starting at 9:00 am PST. Especially eager fans can tune in a half hour earlier on their console or Windows Phone for a pre-show event hosted by Larry “Major Nelson” Hyrb. Nintendo’s skipping the pre-show press conference circuit again, opting instead for a ‘digital event’ that will be broadcast directly to fans on Tuesday, June 10 at 9:00 am PST. Hopefully this year’s feed will go smoother than last year’s, which was a bit of a fiasco. That’ll be followed by a recap that Nintendo says will have “even more game information,” though why they couldn’t just include that information in the original broadcast is beyond us. In addition to the livestream, Sony’s taking a bolder approach by broadcasting its annual press event in 34 movie theaters around North America. Seats for the presentation are free, but extremely limited. If you’ve got no plans for the evening of June 9th (the conference takes place at 6:00 pm PST) and a deep love of all things PlayStation, though, you can try to grab a seat here. If you want to get some hands-on time with Nintendo’s anticipated Super Smash Bros. for the 3DS and Wii U, you’ll want to swing by your local Best Buy. Not surprisingly, Nintendo’s using this as a recruitment tool, offering bonuses to the first 70 people per store who pre-order the game during that time. Gonna be in or around L.A.? If you head to Nokia Plaza at L.A. Live right outside the convention center, you can try to score one of 3,000 wristbands to watch the Super Smash Bros. Invitational tournament Nintendo is hosting on June 10. The wristbands will be handed out at 9:30 am, so get there early. If you miss out, the tournament will be live-streamed on Twitch TV’s E3 channel and Nintendo’s Twitch channel.